We are extremely delighted that our project 'Returning the Green' has been shortlisted for the 2018 INDE. Awards! It's a huge honor to be featured alongside so many other incredible projects! Nanyang Girls’ High School has a landmark presence along the arterial Dunearn and Bukit Timah Roads. It comprises an iconic clock tower flanked by two colonial-influenced building wings that form the backdrop for a large green field and running track. To accommodate its flourishing enrolment, the school developed a brief for an extension comprising two large four-storey blocks to house a set of academic and co-curricular spaces, a large performing arts centre, and a multi-purpose indoor sports hall. The architectural approach was neither to emulate the old, nor to overshadow the existing school complex. Beyond meeting the functional requirements, the aim was to provide students with generous, pleasant spaces for social and creative interaction and development. In order not to block the existing building, the extension is the first educational institution in Singapore that has spaces belowground. Though unconventional in the local context, we felt there was good reason for this, especially in land-scarce Singapore. The challenge was then to ensure that the spaces remained bright and airy. 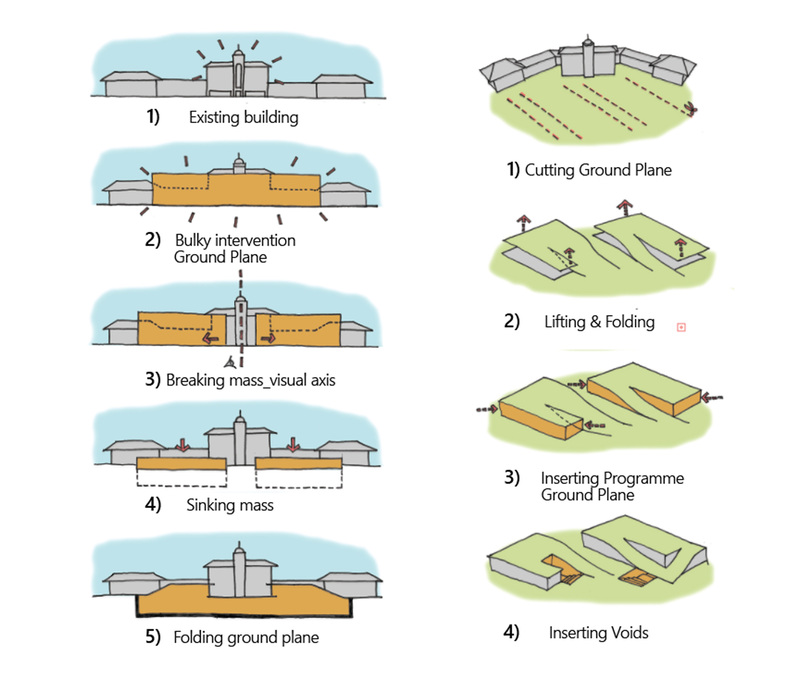 The two new extension blocks provide a smooth linkage between the new and old buildings, with curved landscaped roofs that slope to meet the ground. Beyond replacing the school field, it has enhanced the space with a more vibrant and dynamic landscape. Punctuations in the form of courtyards ensure that the belowground learning spaces enjoy plenty of natural light, views, and ventilation. There is an overall increase in outdoor spaces and an improved relationship with the surrounding environment where classrooms are closely integrated with the outdoors. 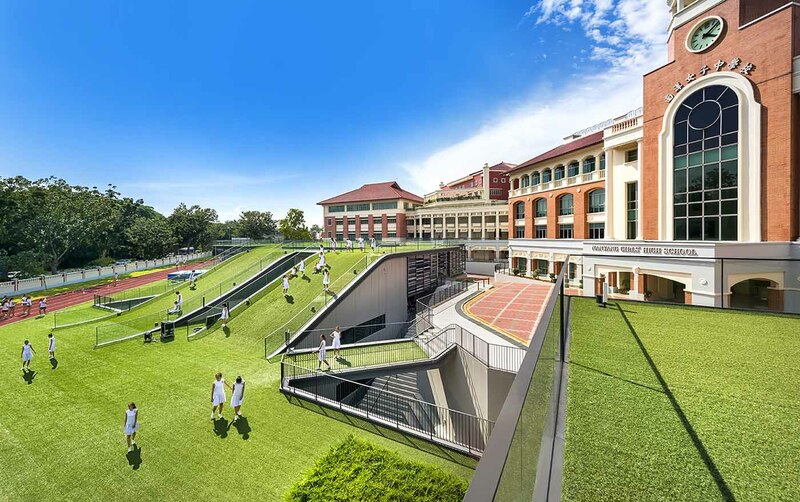 This Nanyang Girls extension, as the first educational institution in Singapore that has spaces below ground, is symbolic as it allows students to see that rethinking assumptions and rules, followed up with constructive discussions, can result in an outcome more successful and creative than otherwise imaginable.